As a landscape photographer I think I'm pretty lucky to live in Manchester. A great city, full of top people, loads of superb architecture, both old and new, and gritty urban scenes to shoot. It's incredible to think that all of these destinations are within an hour to an hour and a half drive. The trickiest part is actually having the time to get to them all! This is something I'm working on, however, I've put together a few shots of where I have been and where they are. On arrive you have the River Lune on your right, and Glasson Dock ahead, with Glasson Marina to your left. The dock and the Lune Estuary is steeped in history, originally becoming a small port at the mouth of the River Lune in the 1780s due to navigational difficulties in accessing the City of Lancaster further upstream. In 1825 it was connected to the Lancaster Canal to provide access from the canal to sea. The dock is connected by a lock to the marina, which provides some more excellent photo opps. It's really simple to find, just use LA2 0BU in your sat nav. And there is plenty of parking available. Then to make it even better, literally 5-10minutes drive away you have Plover Scar Lighthouse situated at Cockerham Sands. Plover Scar Lighthouse was one of two lighthouses built here in 1847 to guide ships along the deep water channel of the River Lune to Glasson. Plover Scar was automated in 1951, and the other lighthouse dismantled in 1954. You can park up at the old Abbey Lighthouse and safely walk up to it a low tide. LA2 0AY will get you to some parking on the coast where you should be able to see the it. Plover Scar Lighthouse is still operation today. Fleetwood is on my to do list but has some great photo opportunities with the nature reserve and the ship wrecks, plus it's dock. Moving further down you have Cleveleys and then Blackpool - no introduction necessary, but it is great for setting seascape sunsets and the illuminations provide ample opportunities for being a little more creative. A bit of fun with a long exposure as an illuminated tram whizzed past. Formby Point is a must visit. Park up at the National Trust owned Formby Squirrel Reserve (L37 1LJ) where you can take the walk around the woodland walk to shoot the red squirrels. The best time is later in the week and early morning - after a weekend of feeding from the public many will stay in the trees during the early part of the week. Then onto the dunes and the beach. Some of these dunes are epic. And I must add they are retreating due to tidal erosion so get down whilst you can. 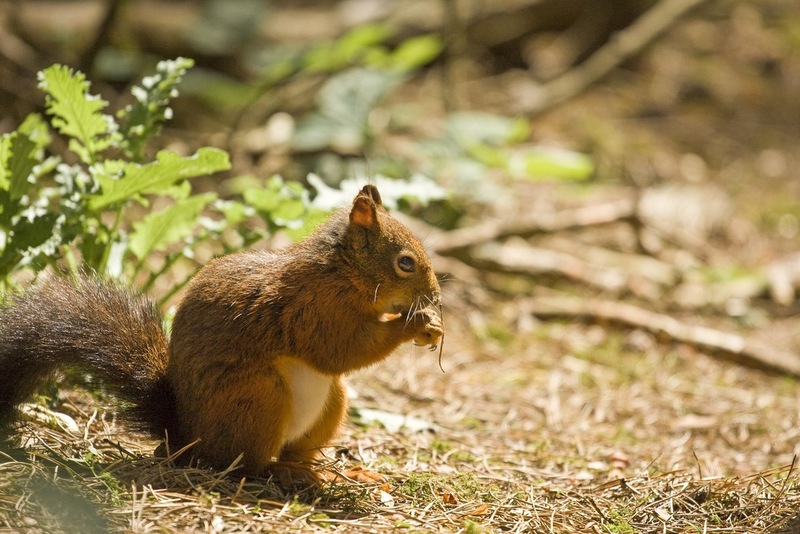 The indigenous squirrel species of our island is in serious threat of extinction and sanctuaries like Formby are incredibly important to their survival. These sands dunes are pretty massive! A haven for wildlife and superb views. One of my favourite spots is Crosby, the home of Antony Gormley's Another Place statues. I've been a few times, but only once with my camera and each time it's totally different due to the shifting sands uncovering and covering the statues... The car park closest to Another Place is at Hall Road, Blundellsands L23 8SY. Fast moving tides make for great dramatic photographs. The cast iron statues are replicas of Antony's body. After passing through Liverpool - more architectural opportunities that landscapes - you arrive at Wirral. There's two destinations you should have here - the first is Seacombe Ferry Terminal (CH44 7BX) to shoot the Liverpool skyline, and the second is New Brighton. I think you have two opportunities here. Given it's geographical position, a sunrise should be feasible depending on time of year and this night time shot. This again is really simple to get too. Literally park on the Birkenhead Ferry Port car park and you're there. You can really see the history of Liverpool through to modern developments. New Brighton is the last destination I'll talk about today. Steeping in history it has the Napoleonic war Perch Rock Fort and the lovely (if disused) lighthouse. I've been a couple of times now and it's just great - lovely for sunsets and of course if you get high tide then (in my opinion) you've cracked it.. Again, simple to navigate to. You can park on the car park directly behind the fort (CH44 7BX). Sunset with moody clouds made for a spectacular sight.